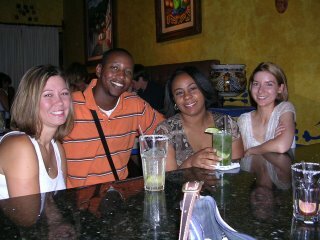 Stephanie, Dorian, Coffy, and Aubrie waiting at the bar. Pablo made our drinks...or was it his cousin, Petey? Labels: Aubrie, Birthdays, Coffy, Dorian, Stephanie J.